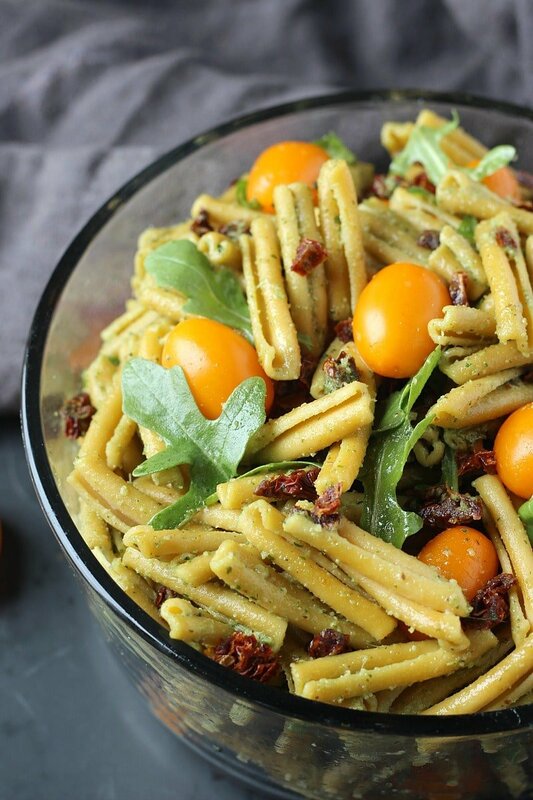 This Easy Pesto Pasta Salad is jam packed with fresh arugula, grape tomatoes and bites of sun dried tomato, covered in a delicious pesto sauce! Should I be the first to remind you that Pasta Salad season is officially here?! This is really exciting, don’t you think? Among my favorite reasons to make (and eat) pasta salad all summer long, is the convenience factor. Well, yes because it’s really easy to make, versatile -meaning you use what you have in hand and it makes for a delicious left-over. Win win! For those who think that pasta salads are bland, boring or unhealthy, I am here to tell you otherwise. For one thing I never use the same shape of noodles or type of pasta. 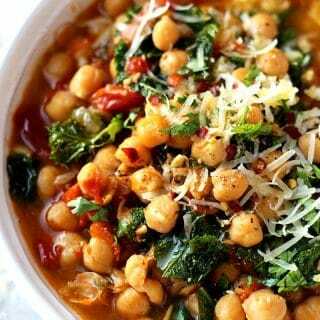 Lately I have been using the healthiest pastas that I can find, such as brown rice pasta, quinoa and chickpea pasta. This way I can turn a simple pasta salad into a super healthy high protein meal. 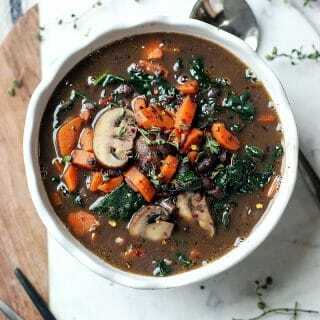 Another option to consider is the amount of greens and veggies that you can add. 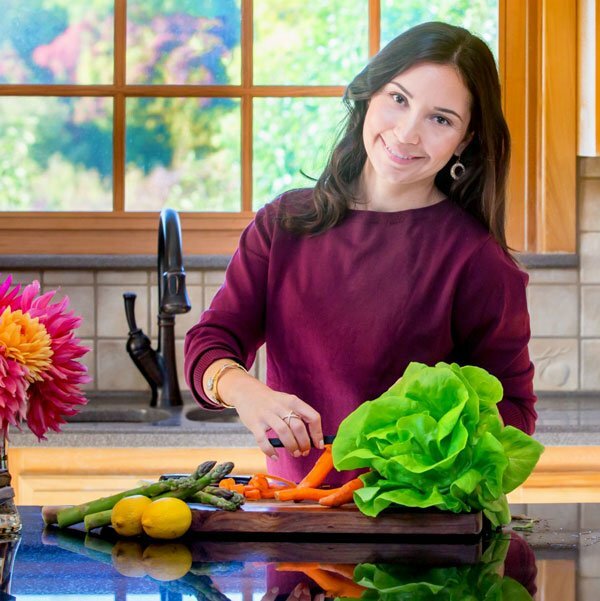 Typically I like to add fresh greens, such as spinach, arugula, kale, etc… as well as plenty of veggies and crunchy greens. The dressing can be as simple as plain olive oil (my all-time favorite!) 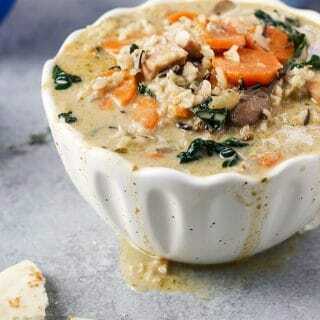 to other tasty combination that will add flavor and nutrition to this delicious dish. So you can see, pasta salads are incredibly versatile and economic because you can use up all the leftover produce at the end of the week to make a beautiful, colorful, tasty and healthy pasta salad. 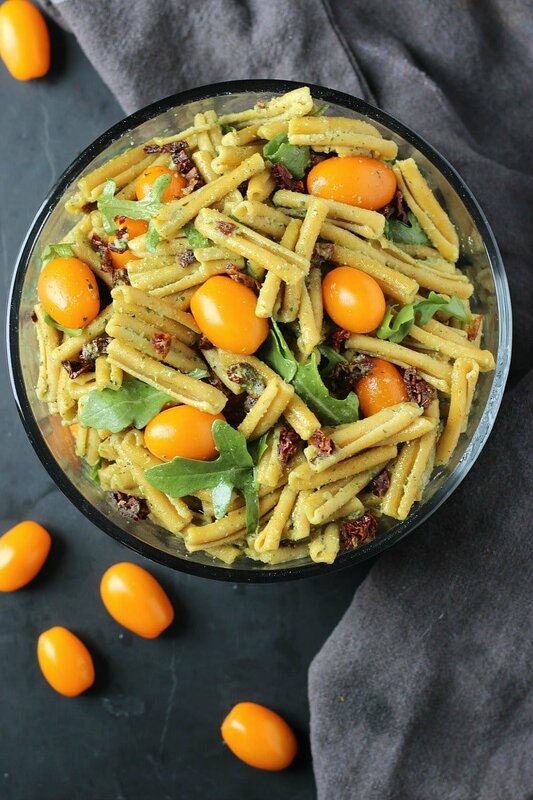 Check out this delicious Fall Harvest Pasta Salad! 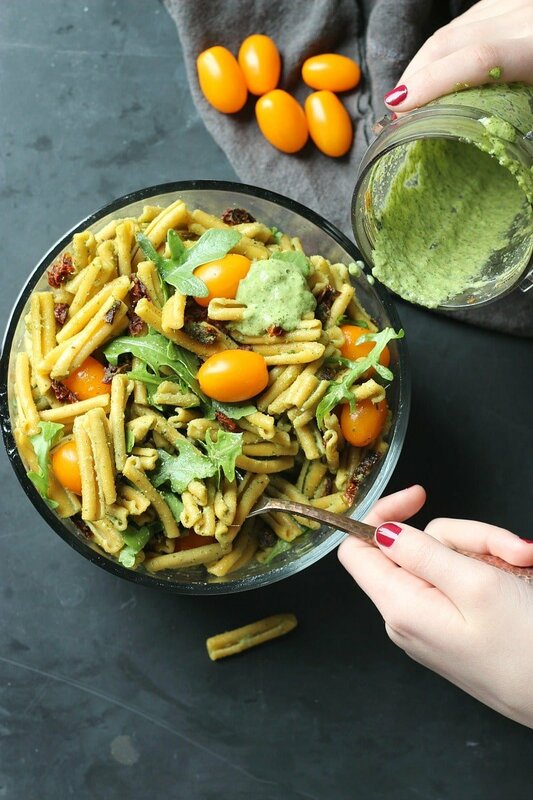 This Easy Pesto Pasta Salad is jam packed with fresh arugula, grape tomatoes and bites of sun dried tomato, covered in a delicious pesto sauce! 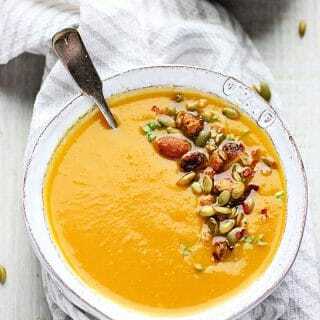 It’s an easy recipe that anyone can make and a tasty dish to bring to a picnic or to someone’s house for a barbecue party. 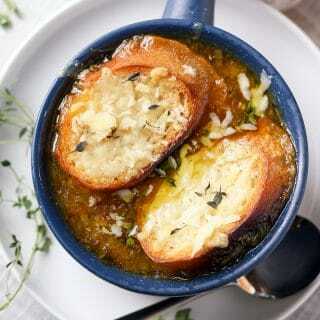 I hope you enjoy the tasty combination of flavors in this recipe. Now, let’s take a look at the ingredients and instructions. Add the pesto ingredients to a blender cup and work it for about 2 minutes. 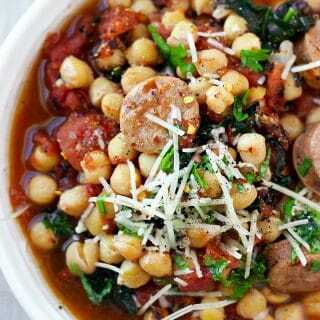 Add the pasta, arugula, sun dried tomato, grape tomatoes and pesto to a large glass bowl and mix to combine. Serve cold or at room temperature.